How Do I Find a Great Dentist in Los Angeles? A great dentist by your side is an invaluable asset to protecting the health and beauty of your smile over the years. However, when it comes to choosing a dentist in Los Angeles, you have unique needs and comfort preferences. You need a dentist who holds the services and qualifications to handle your specific dental needs throughout your life. In addition, you need a dental office that makes you feel comfortable so you enjoy going to the dentist. With so many options available in the area, it can be difficult to choose the best dentist for you. Westside Dental Associates is here to make the selection easier. Look for a dentist who is supported by numerous years in practice due to their extensive qualifications. A dentist who holds widespread training and experience in multiple aspects of dentistry can provide more high-quality services in their office. As a result, you will not have to be referred to another location for certain procedures. You can rest assured you are in good hands with a highly trained and qualified dentist. A dentist can have all the training in the world but may not be able to provide the results you need. Therefore, check the dentist’s smile gallery on their website to see proof of the results they produce. While viewing the images, look for any pictures that have been edited or are stock photos to ensure you are not being deceived. In addition to the dentist, you will spend a lot of time with the dental staff. The staff should keep your comfort a top priority while offering you personalized care. With the lasts amenities, state-of-the-art technology, and a passionate dental team, you will feel right at home in the dental office you choose. Your oral health needs will change as time goes on. You do not want to have to change your dentist because your needs are no longer met at their office. You need a dentist who offers complete dentistry. 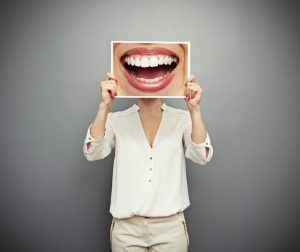 In addition to preventive, restorative, and cosmetic dentistry, look for one who offers specialized treatments, such as periodontal therapy, dental implants, and sedation dentistry. Nowadays, word-of-mouth means everything when making a decision—especially when choosing a dentist. Look at a dentist’s online reviews to gain insight into the experiences of current and past patients to make sure you are making a good selection. If you are looking for a great new dentist who will exceed your expectations, Dr. Les Latner is the dentist for you. Westside Dental Associates provides superior dentistry from our modern dental office. With our patients the center of our focus, we strive to ensure your comfort. We embrace the latest dental technologies with Dr. Latner’s extensive qualifications to deliver unmatched dental care in the area. We offer the complete services you need today and in the future to ensure your smile stays healthy and beautiful. Contact us today to schedule your consultation. by: Les Latner at March 9, 2017 . Comments Off on How Do I Find a Great Dentist in Los Angeles?